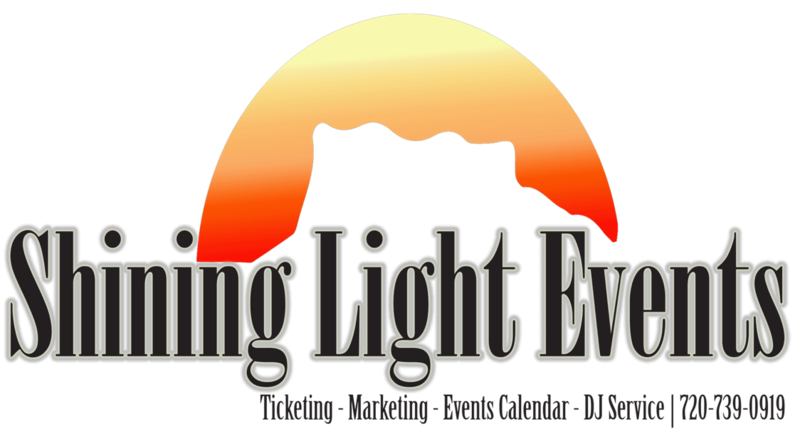 Sell Tickets – Shining Light Events, Inc.
You will receive all the following marketing: Social media presence, Banner on main page, Two email blasts to our whole data base per month, event listed on our community calendar and we will create a social media event calendar to post, which will also be available for clients to share on all their Social Media pages. This means we will push your event on Social Media (Reach approximately 21,000 a week), featured on our web page (Reach approximately5,600 a month), featured on our email newsletter (Reach 8,000 + a month). Granted all numbers vary each month and are close approximates, but all in all your entire event will reach around 50K to 80K + hits a month…all for FREE! It is free to you and we will add in all service fees into your ticket price.